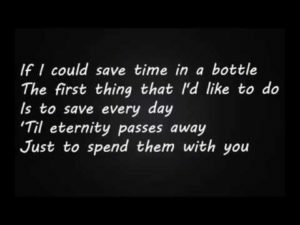 If I could save time in a bottle, the first thing that I’d like to do is to save every day ‘til eternity passes away, just to spend them with you. These magical words were not written for lovers. They were written for Jim Croce’s unborn child. Jim had wanted to be a musician from the time he was five, when he learned to play Lady of Spain on the accordion. What his parents wanted was for Jim to have a career. At Villanova, he majored in psychology and sang in a group that played local gigs. After college, Jim tried to make a go of music. He loved writing songs and singing; he was so talented he could sing any genre, but it was slow going. When he met fellow singer Ingrid Jacobsen at a jam, they became a duo, and then husband and wife. For a wedding present, Jim’s parents gave them money to make a record – 500 copies – to prove to Jim that music was not a career. Mistake! The 500 copies of Facets quickly sold out. Jim and Ingrid had their child, a son they named Adrian James – AJ. To support the family, Jim worked construction and drove a truck, but he could not get music out of his soul. He kept writing songs and singing. With success finally in their grasp, they decided that Ingrid would stay home with AJ and Jim would tour. 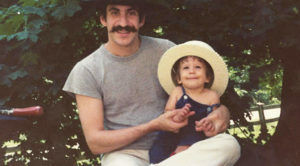 But what Jim Croce really wanted was time with his son. Jim recorded an album titled I Got a Name, which included the song “Time in a Bottle.” On tour, he mailed a letter to Ingrid, telling her he was going to release his album, stay home and write songs. Then he and his group got on a plane at small airport in Natchitoches, Louisiana. The small plane took off at dusk into a misty sky. On board with the pilot, Robert Elliot, were Croce, his guitarist Maury Muehleisen, agent Kenny Cortose, roadie Dennis Rast, and comedian George Stevens. As the plane took off, the wing of the Beechcraft E18S clipped the branches of a pecan tree. There were no survivors. It was eight days before AJ’s second birthday. Jim’s letter to Ingrid arrived a week after the crash. The album was released after Jim’s death; ” Time in a Bottle” reached #1 on the charts. What a terribly sad story. 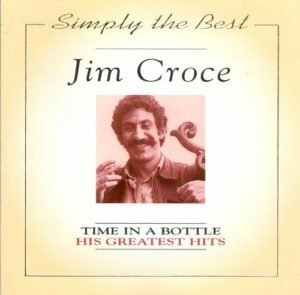 How did you know about Jim Croce? So sad. 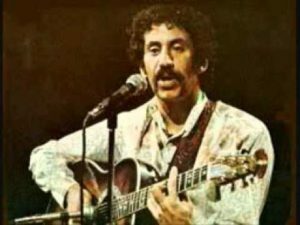 Jim Croce, in his short life, wrote many great songs. Many of them humorous, all of them touching. I have always felt that that plane crash robbed us of so many more great songs.